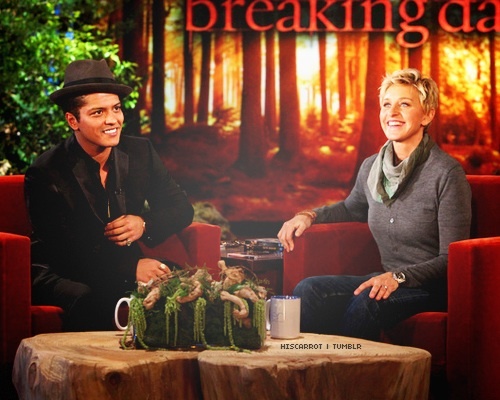 Bruno on Ellen. . Wallpaper and background images in the 브루노 마스 club tagged: bruno mars. This 브루노 마스 photo contains 휴일 저녁 식사 and 휴일 저녁. There might also be 이탈리아 식, 전채 요리, 곁들여진, 브라 세리, 부케, 코사지, 꽃다발, posy, nosegay, and 코 사지.